merit-badge – Trail Blazer Survival School, Inc. 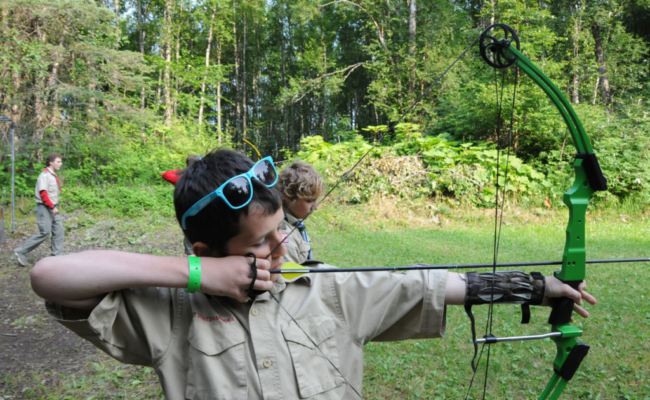 The Trail Blazer archery range provides the perfect enviorment for scouts to meet the requirements of this badge. Trail Blazer's skilled instructors will guide scouts as they learn the anatomy of a bow, handling, maintenance, proper aiming, and firing techniques. Counselors for this merit badge have spent months at a time on the trail and know all the tips and tricks of backpacking. Scouts will leave knowing exactly how to plan and carry out a trek utilizing the correct gear and best practices along the way. Scouts will learn from counselors who not only camp for recreation, but often as a job requirement. Our counselors share years of camping experience and knowledge between one another and are happy to share what they have learned. This course has some postrequisites that scouts must complete to recieve certification. Scouts seeking the first aid merit badge will have the privilege of learning from a certified EMT who is also a NOLS certified wilderness first responder. 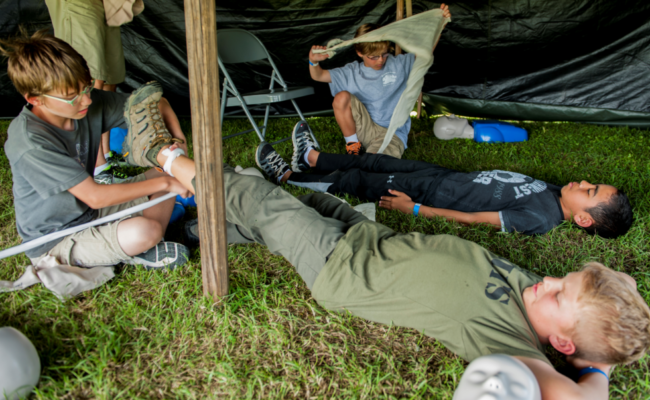 Scouts will complete all the first aid merit badge requirements while also learning to apply first aid in a wilderness setting. Scouts seeking the fishing merit badge have the opportunity to attend two different Trail Blazer summer camps for instruction and application of fishing techniques. Scouts can also recieve certification at one of our half-day classes at at the Trail Blazer Training Camp. Trail Blazer counselors will instruct scouts in orienteering utilizing the orienteering course at the Trail Blazer Training Camp. Our course is spread over a 22 acre tract of land and requires scouts to put their freshly learned knowledge of orienteering to the test in order to reach each marker. The merit badge closest to our heart. 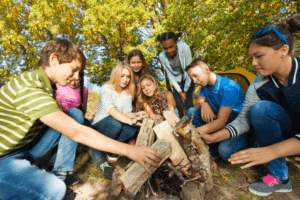 As instructors at a survival school our counselors are experts not only at wilderness survival but also at teaching these skills to others, especially the youth. Scouts attending this course or one of our eligible camps will leave with skills that surpass the merit badge requirements. Trail Blazer counselors are adept wood carvers thanks to their consistent practice of primitive skills. 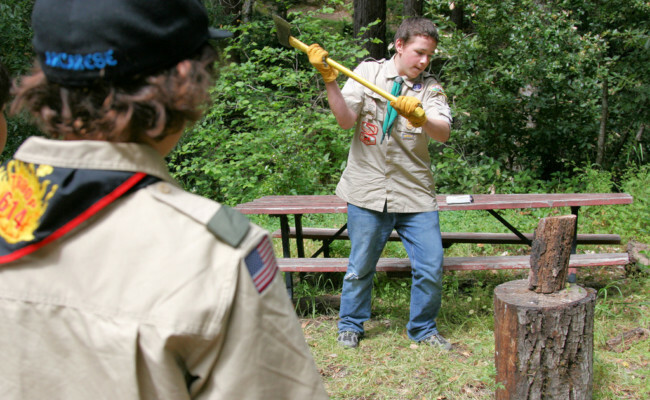 Scouts will learn a variety techniques and cuts that have applications in both works of art and practical uses such as shelter and traps. 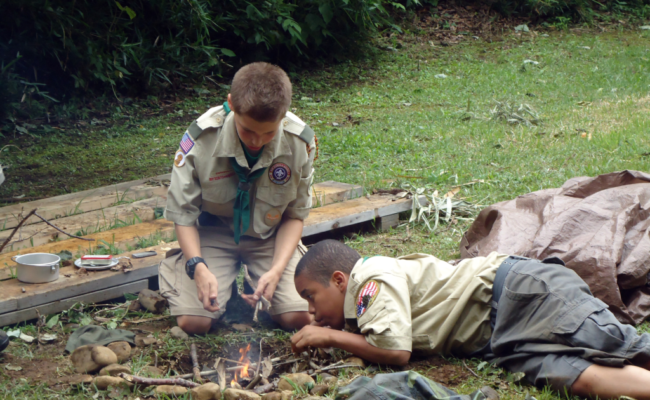 Merit Badge Counseling consist of half-day weekend certification classes held at the Trail Blazer training camp. 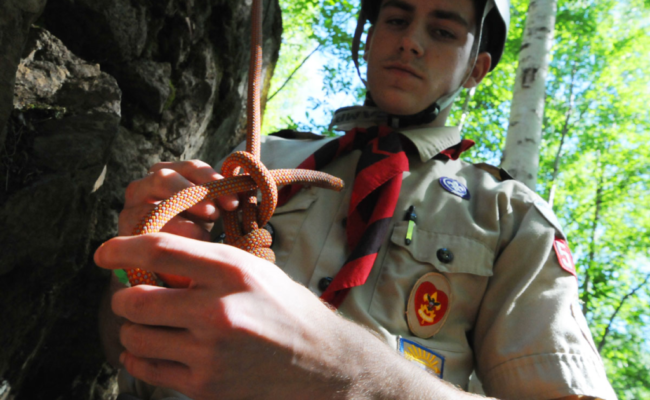 Using a hands on approach, counselors will guide scouts through the requirements needed to earn specific merit badges. Scouts that have registered for particular badges will be tested at the end of the class session. Upon passing written, verbal, or demonstrative tests the merit badge counselor will provide a badge certification to the scout. Some certifications may require perquisites to be completed by the scout at home or with his troop. - 8:30 A.M. to 12:30 P.M.
-Call us at (864)263-3850 to book a Merit Badge event. If you prefer you can click the button below to email us.